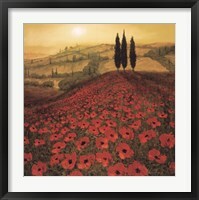 When selecting a frame for this Field Of Red And Gold fine art print, you want to choose framing that reflects its high quality. 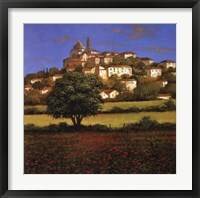 At FramedArt.com, we offer top of the line framing based on individual customer needs. 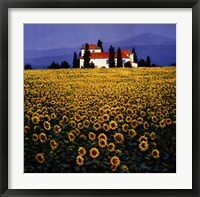 Choose from over 60 frames, over 20 mats and lots of glass options to customize your framed Steve Thoms art. Getting the style, look and feel that you want, doesn't mean you have to spend more. 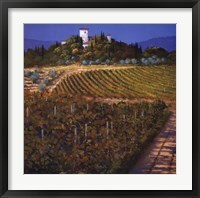 Each framed artwork is custom built by one of our expert craftsmen in New Jersey. 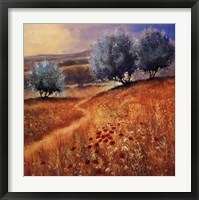 This means that each customer gets high quality custom framed art at an affordable price.